Today, many amplifiers do not have a specific phono cartridge inputs. The Pro-Ject Phono Box is an ideal affordable solution for connecting a turntable up to your existing system, and it is also capable of working with both Moving Magnet and Moving Coil cartridges. 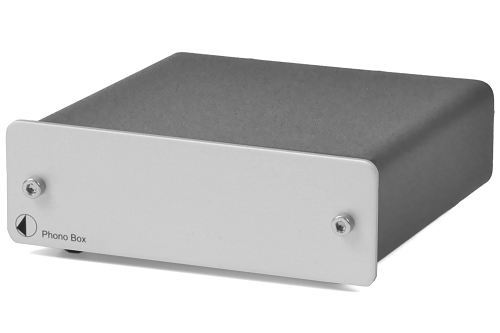 The output of Phono Box can easily be connected with a line-input on your amplifier.